Removing deep parotid lobe lesions often requires a mandibulotomy procedure which carries with it a risk of significant morbidity. A transoral approach may help mitigate against complications but is technically demanding due to limited access in an area with a close relation to the internal carotid artery. We describe a multi-disciplinary approach with the use of intraoral ultrasound-guided wire localization of a low-grade acinic cell carcinoma located in the deep lobe of the right parotid gland. Our multi-disciplinary approach facilitated the complete removal of this deep lobe parotid lesion via a transoral approach with minimal post-operative sequelae or complications. 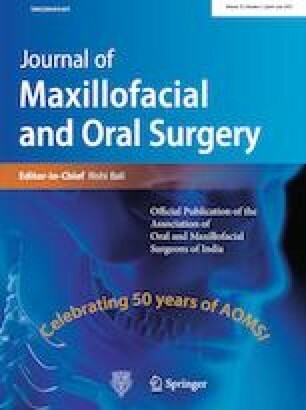 In selected cases, with appropriate expertise, this dynamic approach can potentially be used even for malignant disease to limit post-operative morbidity when managing small deep parotid lobe lesions.